Fig. 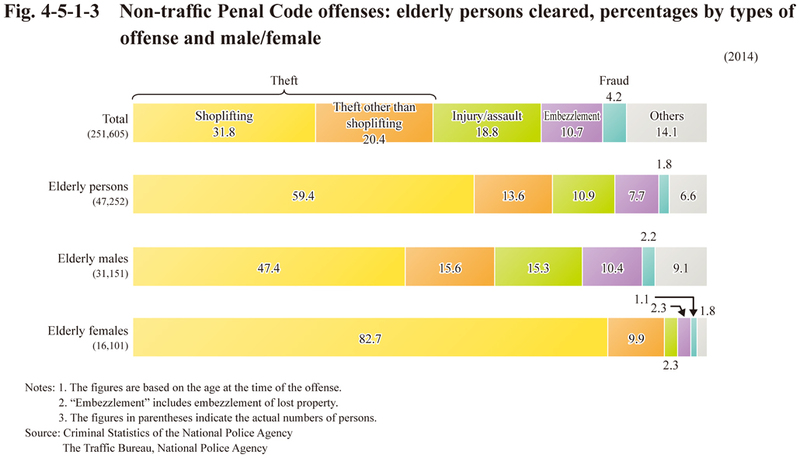 4-5-1-1 shows the number of persons cleared for non-traffic Penal Code offenses by age group. Fig. 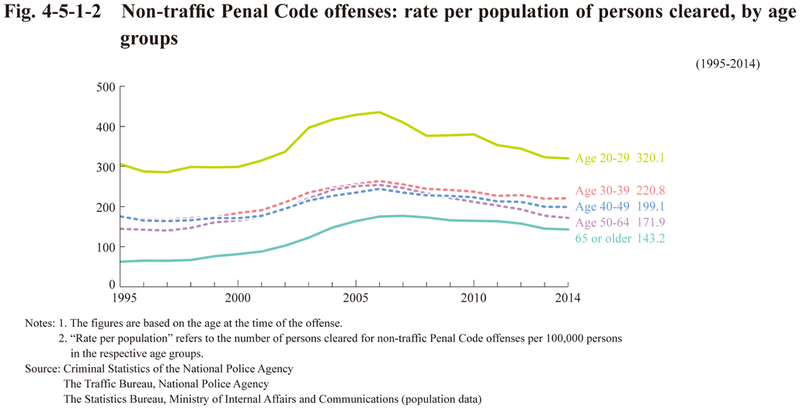 4-5-1-2 shows the rate per population of persons cleared for non-traffic Penal Code offenses by age group. Fig. 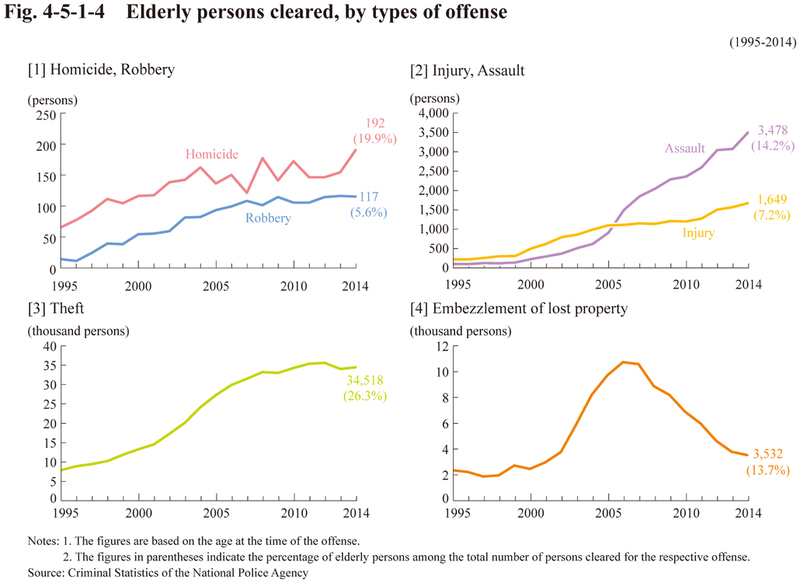 4-5-1-3 shows the percent distribution of elderly persons cleared for non-traffic Penal Code offenses by gender and type of offense in 2014. Fig. 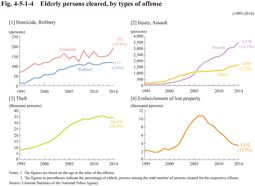 4-5-1-4 shows the number of elderly persons cleared for several Penal Code offenses.